Andrew M. Friedman is one of the founding partners at the law firm of Friedman Sanchez, LLP, in Brooklyn, New York. Working in the areas of personal injury, medical malpractice, health care and civil rights, he represents clients in Brooklyn, Queens, Bronx and Manhattan. In his more than 20 years of legal practice, Mr. Friedman has represented many people who were injured in car or public transportation accidents and workers hurt in construction accidents. His medical malpractice clients come to him with a variety of complex issues, including anesthesia errors, misdiagnoses, surgical errors, dental malpractice and birth injuries. Since co-founding Friedman Sanchez, LLP, in 1993, Mr. Friedman and his firm have earned reputations for success. He has helped numerous clients to recover significant settlements or verdicts in a variety of types of cases. In one construction accident case, he helped an injured worker to recover a settlement of $1.2 million. In a medical malpractice case, he helped a family to recover a jury verdict of $1.1 million. Mr. Friedman earned his bachelor's degree from Northwestern University and also holds a master's degree in public health from Harvard University. He earned his law degree from the University of California, Hastings College of the Law. He is licensed to practice in the state courts of New York and California, as well as in the U.S. district courts for the southern and eastern districts of New York. 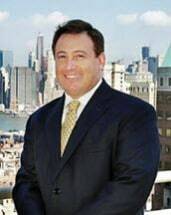 Active in professional organizations, Mr. Friedman is a member of the Brooklyn Bar Association, the New York State Bar Association and the New York Trial Lawyers Association. Committed to advocating for the civil rights of his clients, he belongs to the Alliance for Justice, an organization dedicated to ensuring that all citizens have the right to pursue justice in the legal system.